Looking to start running and want wondering what the best jogging stroller is? Read on to get the recommendation of a mom of four. I’m not going to lie, I am a reluctant runner – but a runner none the less. A year ago I wasn’t able to say that but now I can proudly call myself a Mother Runner! My journey to running after having kids is a bit tricky and ultimately involved getting yet another stroller so that I could continue on my healthy lifestyle journey with my toddler in tow. I had never planned on running with my toddler but after many failed attempts to leave her in the gym daycare I quickly learned that I was going to need to find another way to stay active and fit – that’s when we happened upon a running club just for moms! The stroller that I had was NOT going to cut it! Turns out, the stroller I was using was about 10 lbs heavier than the best jogging strollers out there! It was a beast! Over the course of having four kids I’ve used FIVE different jogging strollers before finding the best one out there. Each one just didn’t cut it and made staying active more of a chore than anything else – they were either too bulky, too heavy, or too hard to steer. I really wanted to step up my game and join my new friends on their weekly runs so I set out on a search to find the best jogging stroller to fit my needs. My list was short for what I needed in a good jogging stroller – I needed it to be light enough so that when I put my 35 lb toddler in it I wasn’t bogged down, I needed it to easily steer so I wouldn’t have to put extra effort into maneuvering it around turns, and I needed it to fit comfortably in the trunk of my car. I found all of this and so much more in the BOB Rambler jogging stroller. 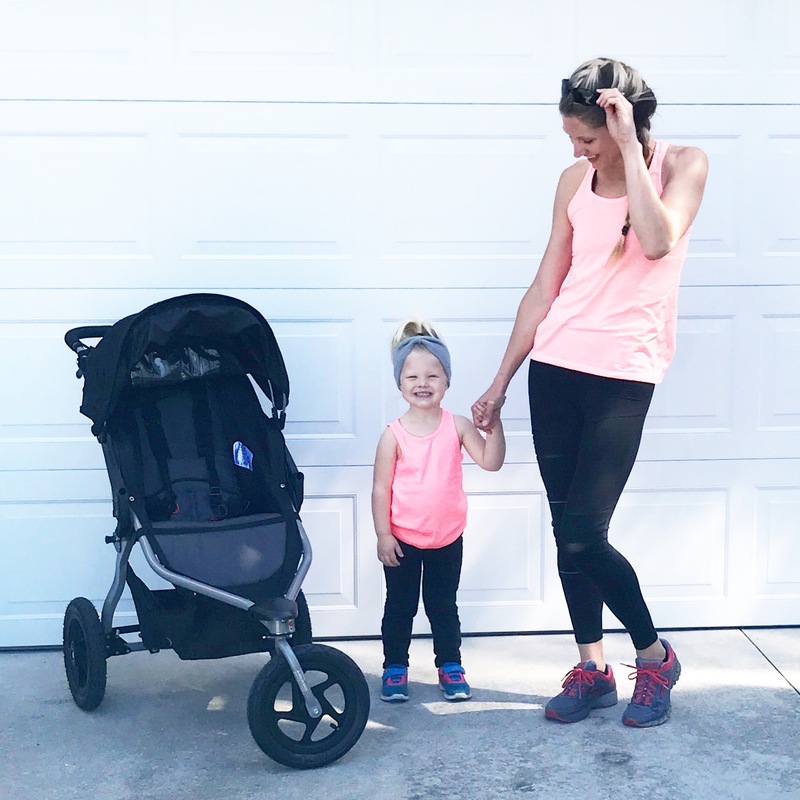 My fellow mother runners all run with BOB gear but I had no idea how running with a BOB versus any other jogging stroller but change how I was able to run! The BOB Rambler jogging stroller is roomy and comfortable for my toddler, has an extra large canopy to keep baby cool and shaded on long runs, and the mountain bike shocks are a huge bonus in keeping the child from bouncing around too much. My favorite feature though is that it is the first BOB jogging stroller to feature 12″ wheels all around. Most jogging strollers have a 12″ wheel in the front of the stroller and two 16″ wheels in the back. With the Rambler using 12″ wheels for all three the stroller collapses and fits easily into smaller trunk spaces! Each of the BOB jogging strollers are lightweight and easy to maneuver, and each one offers specific design to fit your needs weather it be a fixed front wheel, an adjustable handle bar, or wheels to fit in the trunk of the car. After owning a BOB Jogging Stroller I can honestly say I will never use another jogging stroller again! Thanks for the great review! I love running with my baby sister! It is a great way to exercise, get outside, and spend time together! Thanks for the suggestions! !